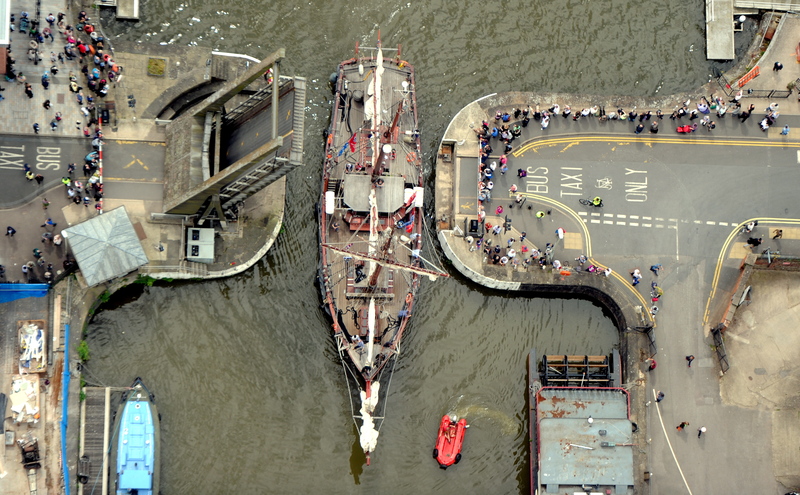 I was commissioned to cover the Tall Ships Festival arrivals into Gloucester Docks from a microlight in 2015. The pictures are being used by Marketing Gloucester for promotional material for the next festival in 2017. To get this image I was literally hanging out of the microlight and very much felt like I could of fell out.